Moving to Panell! It’s the most affluent and amongst the wealthiest suburbs of Auckland. And given its stature it offers a range of options and opportunities to explore and indulge. But amidst this excitement and thrill, the dull and demanding chores of relocation are bound to pull you down. But with the skill and competence of professional movers, one can be sure of a pleasant and hassle-free move. 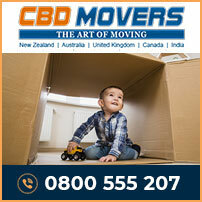 CBD Movers NZ is a trusted and reputed name in the removal industry in New Zealand. We are one of the premium removalists in Auckland and offer customized solutions to address distinct and varied removal needs. We undertake a wide array of removal services. House removals, office relocation or shifting furniture items; we are the best equipped and experienced to move all. Our best policies and methods for packing belongings and proficiency in dismantling and reassembling furniture pieces makes us the best furniture removalists in Auckland. We take up basic loading and unloading and also offer services for comprehensive packing and moving. 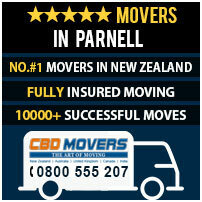 At CBD Movers NZ we are reckoned for our safest moving practices. We have well-defined processes and are equipped with the best removal gear. From ramps, trolleys, straps, pulleys to more, we have everything in place for a safe and quick move. Our fleet of trucks is well-maintained and overhauled. With vehicles from 3 tonne to 8 tonne truck load capacities, we offer customized facilities for an affordable removal. Each vehicle is befitted with climate control system which confers best protection against temperature variations. We are licensed movers and are certified to undertake both local and interstate moves. We offer the lowest rates/hour and with no depot fee we are the cheapest removalists Auckland. We observe high standards of working and pass on the benefits of bulk operations to our clients in form of cheapest removal rates. Our comprehensive transit insurance cover is reasonably priced. We have clear practices and operations with no hidden extras. Parnell is an upmarket suburb of Auckland, New Zealand. Characterized by its hilly topography with the backdrop of the Waitematā Harbour, it is one of the most affluent and hi-end suburbs of Auckland. Supporting the latest and the best facilities for work and living, it is the place to be in! At CBD Movers NZ, we offer superior services and able support to help people move to and from Parnell in a comfortable and stress-free manner. Our safe, reliable and customized solutions are available at the most competitive rates. Get in touch with us for superior services and removal deals.